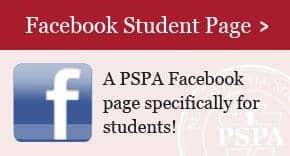 The PSPA offers an extensive list of membership benefits that are desirable for the student as well as seasoned PAs. 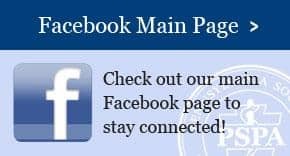 Legislative and regulatory representation, continuing education, employment assistance, regional networking, quarterly news magazine, monthly email news briefs, student scholarships and group insurance plan discounts are among the reasons to join the PSPA. The PSPA membership year is from June 30 – July 1. Join today to begin reaping the benefits of PSPA membership. Every year PSPA hosts a CME conference featuring 25 hours of lecture and 8 different workshops. Additionally, it there are fun evening events and meals are included. Over 500 PAs and students attend annually, making it one of the largest events in the state, and the region. Save big by being a member and registering early! Physician Assistants in the state of Pennsylvania are required to obtain licensure to practice. A PA with an MD supervisor needs to register with the State Board of Medicine and a PA with a DO supervisor needs to register with the State Board of Osteopathic Medicine. The supervising physician also needs to be approved by the appropriate board to be a supervisor by completing a supervisor’s written agreement. PAs in Pennsylvania must be nationally certified through the NCCPA to obtain permanent state licensure. Members of the PSPA are the first to receive important updates regarding changes that will affect your ability to practice. Our Career Center features not only jobs, but also ways to make yourself a better candidate. Questions can be answered by the PSPA staff at pspa@pspa.net or (724) 836-6411.